“We all know Sheffield is the Steel City, the place of Hendo’s, hills, Pulp, grit, soul and chip butty’s, but it is also a place of welcome, a city of sanctuary where you’re a Sheffielder no matter your race, language, faith or passport.” - Festival Director, Sam Holland. And with that, Sheffield will host the UK’s largest festival celebrating this from 19 to 23 June! Set to run over the national festival, Refugee Week, Migration Matters Festival aims to unite people through the enjoyment of an eclectic mix of international and UK artists, spanning music, film, theatre, dance, spoken word, fashion and of course, food. As always, we’re here to help guide you through the agony that is choosing what to attend and when. Read on to see where we’ve tipped hottest for the five-day festival this year! It is worth noting that organisers have stressed that all tickets are sold on a ‘pay as you feel’ basis; all prices listed below are therefore a guide. We recommend booking ahead to avoid disappointment. Opened by none other than our Lord Mayor Magid Magid, organisers have put together a delicious concoction of music, dance and food to kick off the festival in true style. Offering a taste of what the festival has in store for the next five days, grab your ticket to a night bursting with energy and all-round good vibes. There, you’ll see One World Choir, Open Kitchen Social Club, Kuo-Shin Chuang Pangcah Dance Group, The Turbans, Haymanot Tesfa and Arian Sadr and Angelina Abel perform Mulembas d’Africa. Set in the all-too-near future, White Tree Theatre portrays the story of Sam, a young mother trying to protect her family and find a new home in a country on the brink of environmental devastation. Tickets here. The product of a year-long project by Punch Records that sent four acclaimed British musicians back to their cultural roots to (re)connect with their homelands to then create new music, ‘Homelands’ sees Terri Walker travel to Jamaica, Shakka in Dominica, Diztortion head to Suriname and Saskilla in Senegal as they all travel alone (with modest film crew) and explore the roots of their cultural identity and sound. Find your ticket here. This time next week the awesome @MigMatFest will be kicking off! Exploring displacement, ‘Fragments’ uses physical theatre to focus on the journey of reintegrating into cultures. Performed by a group of young refugees and asylum seekers fresh to London’s metropolis, Single Homeless Project has devised this through a series of workshops in collaboration with theatre-maker Mo’min Swaitat. 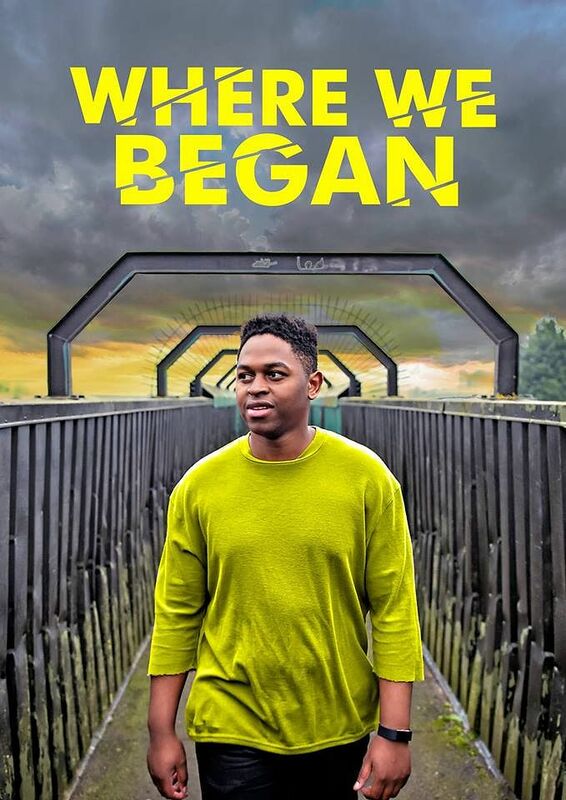 PSYCHEdelight Theatre company brings its new satirical comedy surrounding the experience of finding sanctuary in the UK to Sheffield on Thursday. Turning public perception of refugees on its head, the ensemble of European and refugee artists from nine different nationalities (UK, France, Syria, Afghanistan, Iran, Italy, Palestine, Chile and Sudan) met in the Calais refugee camp. Tickets here. Where would you end up if you were ordered to return to your place of birth? 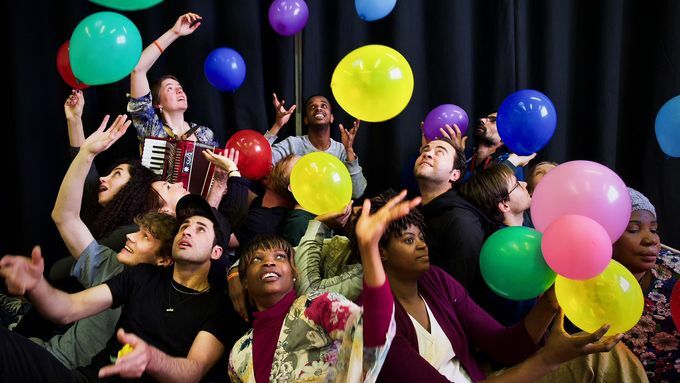 The UK’s first theatre company of sanctuary, Stand and Be Counted, will present a vision of the future through storytelling, movement and live music, and explore what ‘home’ means for them. Tickets here. Providing some top-notch grub with an international twist made by Sheffield locals, as well as a selection of South Yorkshire’s finest musical talents (you’ll find Romans Kosice, Isma Soutona and Katie Pham and the Moonbathers there), MiGreat Lates is sure to please your belly, ears and soul! Tickets available here. Following two women on separate journeys of integration and the struggles that follow, ‘Behind Our Skin’ explores womanhood and immigration through two monologues that eventually become intertwined. Find out more and book your tickets here. Living on a war-torn shore and barely surviving, could you leave your family and home in search of your humanity beyond the seas? ‘A Performance Desperately in Need of an Audience’ is ‘a tale as bittersweet as exile itself’ from the Arab Puppet Theatre Foundation and will be one not to miss! Grab your tickets here. Sending Refugee Week off with a spirited night of performances and spinning discs, the closing party is bound to be a lively one. Head straight into celebrations after Arab Puppet Theatre Foundation’s performance and enjoy offerings from Open Kitchen Social Club, Nisha Lall Dance, reggae/ska band UJahm, Mankala and Kom Kom. Find tickets here. For the full programme of events over Migration Matters festival, click here.